Dubai: UAE residents are now more likely to open their wallets, as they are becoming upbeat about the state of their finances and the general economic outlook this year. According to a confidence tracker that surveyed at least 1,200 people in the country, the number of consumers who are positive about their financial prospects went up by 54 per cent in December 2018 compared to 12 months earlier. The study, conducted by comparison site yallacompare, found that 22 per cent of those who were polled -- nearly 300 people -- feel more optimistic in the last quarter compared to just 14 per cent (168 individuals) three months earlier. 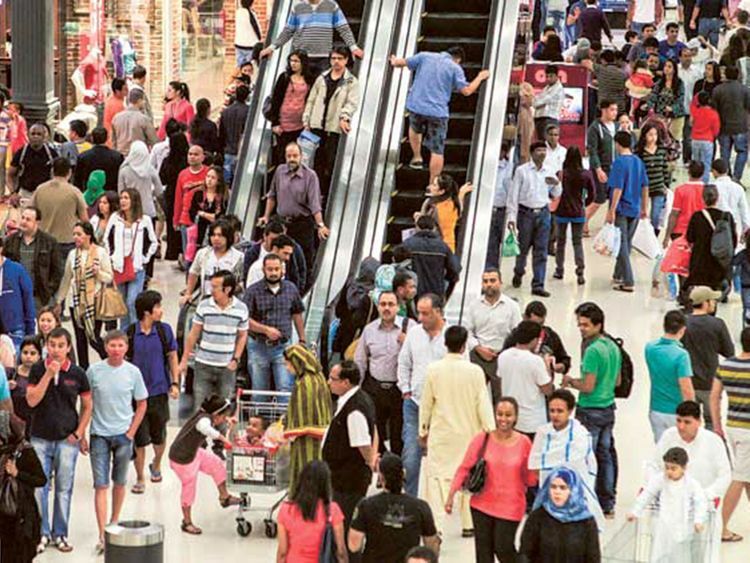 The findings suggest that, after having absorbed the impact of value-added tax (VAT) and with prospects about a salary increase now surfacing, confidence among UAE consumers is now returning. Hiring specialists had earlier said there is a strong likelihood that some UAE consumers will see a bump in their monthly incomes this year, with 65 per cent of companies in the Middle East and Africa looking to adjust workers’ salaries in 2019.
Business conditions in Dubai’s non-oil private sector have also recently improved, while more job vacancies have opened up. Declining rental values have also somehow provided a boost to consumers' ability to save money, as it is now less costly to rent an apartment in Dubai. In the latest confidence survey, it was found that the proportion of the UAE population who feel less positive has dropped by 22 per cent since the previous study, from 53 per cent in September 2018 to 41 per cent in December. “It’s great to see confidence rebounding and returning to, or even exceeding, the levels we saw at the start of 2018,” said Jonathan Rawling, chief financial officer of yallacompare. The confidence tracker also found that UAE residents now feel better able to cope with the impact of VAT on the cost of goods and services. In September 2018, 27 per cent of people said they were struggling to make ends meet because of the new tax, but in December, the number dropped to 16 per cent. While 51 per cent of people said they were worried about the increased cost of living in the UAE in September, only a smaller number (40 per cent) shared the same view in the latest survey. The number of consumers who feel they would be able to get by financially has likewise went up from 44 per cent to 52 per cent.